BARRY’S BAY – After an evening of presentations, questions and debate, Madawaska Valley Township council has decided the Railway Station will remain open year-round. 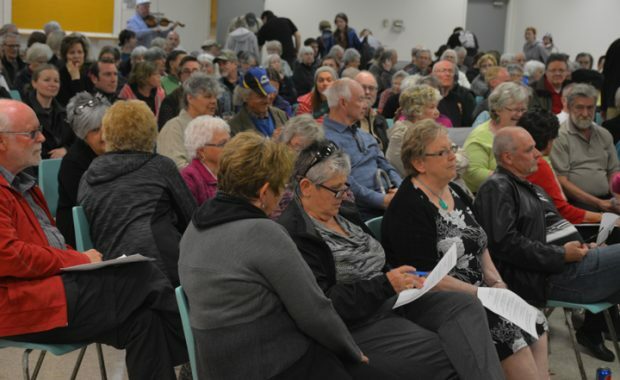 Hundreds of people filled the upstairs lounge at the Paul J. Yakabuski Community Centre on May 18 to attend a four-hour special council meeting about the future of the Railway Station. Mayor Kim Love began the discussion by providing history on how the issue came to be. Then, Recreation and Community Development Coordinator Paul Nopper delivered the scenario review for the visitor and information centre. He provided information on how culture and the arts contribute to the economy, including economic spinoffs. (His full presentation can be found under the Special Council Meeting agenda on the township’s website). Using figures from the most recent budget, he outlined six different scenarios ranging from keeping the facility status quo to shutting it down altogether. Other scenarios had staff working nine months at the Railway Station with options of not working or working part/full-time with the township. 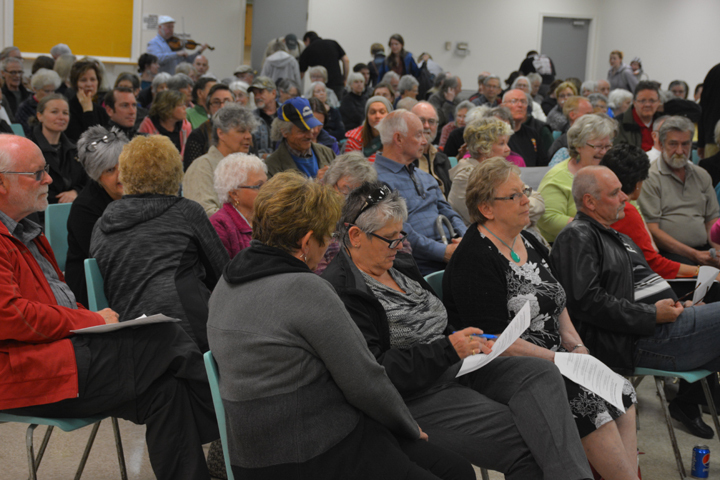 Nopper said out of the centre’s total budget, taxpayers pay around $70,000. Depending on the scenario chosen, taxpayers would see a slight savings their overall municipal tax bill. For example, if the centre were to close down altogether, Nopper explained that it would save taxpayers approximately $10.59 on $100,000 assessment. However, he warned the economic repercussions would be insurmountable. Following a brief break, members of the public were invited to take part in a 30-minute question and answer period. Some used the time to voice their opinion on the Railway Station, while others made programming suggestions.